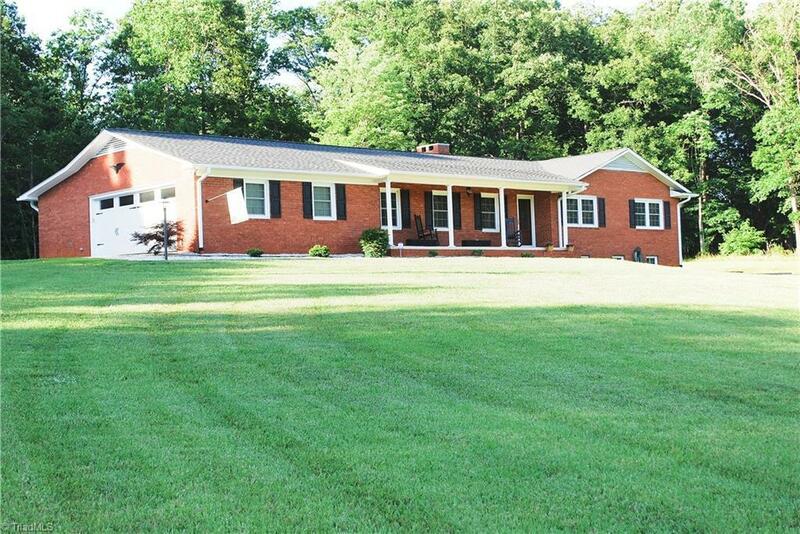 Lovely home with 14 acres in Eastern Yadkin county. Located with easy access to Hwy 421 this home has been renovated and is ready for your family. Stroll on the new concrete sidewalks and parking pad to the front porch. Entryway greets you into the formal living room and formal dining room for your family gatherings. Step to the back of the home and the kitchen opens up to a large breakfast area and family room. Large Master bedrm and bath addition. Nice metal outbuilding for all your toys.